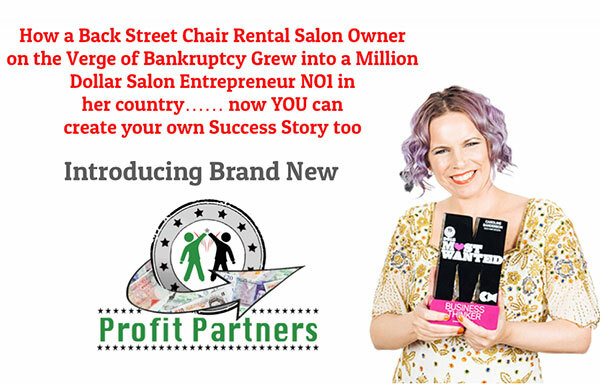 Are you a frustrated Salon Owner or Manager struggling to motivate your team? Are you running around in circles doing all the work as well as training the team but yet you still don’t seem to get the results you want ?…Then read on to see how we can help train and motivate your team each and every day so you can focus on the things you love doing. Or maybe you are a Stylist who would like to know how to get busier and make more money? • Mind-set & Attitude. I have been teaching for Years on how to shift your mind-set and break through the limiting beliefs and fears we all have. These include Money Mind-Set & what’s holding you back from earning the money you deserve. Positive mind-set in the work place to build the career you want reaching your goals, How to break through retail & price fears and so much more it’s ridiculous. It’s time to bring this training to the team to create a positive salon culture. • Key Performance Indicators – How to grow your column 60% by increasing selected KPI’s by just 10% which include Rebooking, Average bill and Utilisation to name a few. Your team will gain a greater understanding what’s in it for them when they grow their KPIs and the impact that each has on the total growth of their columns. • Salon Marketing– Learn the basics, as well as more advanced Salon Marketing tips and ideas, to attract more new clients, who visit more often and spend more at each visit. Cutting edge ways to fill white space to cash in on your salon column. • Super Salon Service – How to give a 5 Star Customer Service at every visit and WOW your clients so they shout about you and refer you friends. How to get clients eating out of your hands throwing their money at you for retail and upgrades due to the relationship you build together. The importance of following your Salon’s Core Values and teaches our Jedi Salon Values for those that don’t have any in place. • Management and Front of House Training and Support – It can be a lonely place being a Salon Manager especially to an unmotivated unresponsive team. Front of house can also be a stressful place to be dealing with client complaints and a team trying to manipulate the diary. 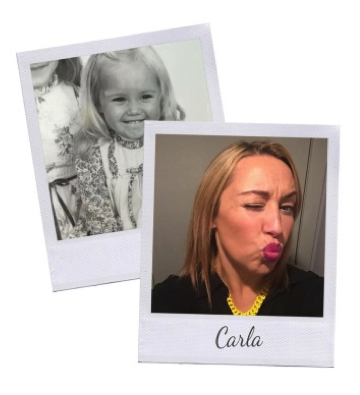 Get support from Carla Zebrowski our Award Winning Managing Director on how best to manage the team and clients, as well as maximising salon income from Front of House. • Super Assistants – Motivating the young talent in your team and showing them what can be achieved with hard work and commitment to your salon and brand. • Lifestyle Coaching – We have our fully quailed life coach and health and fitness guru Lorraine O’Brien to educate your team on healthy lifestyle choices, nutritional advice and life lessons. A healthy team is a happy team . Who are we and why should you Trust us to Train Your Team ? Caroline Sanderson – Salon Director of Ego Hair Design Inverness, Director at Salon Jedi & Co Founder of Tartan Minerals Makeup. 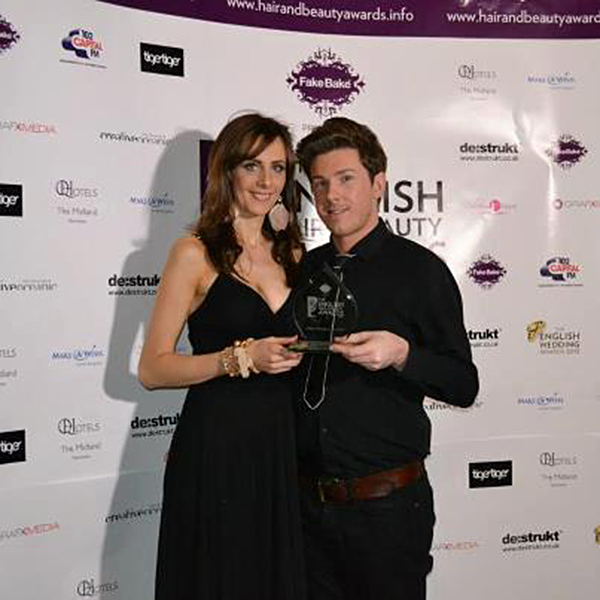 Carla Zebrowski – Managing Director at Ego Hair Design Invneress and Co Founder of Tartan Minerals. Carla is also a fully qualified Makeup Artist . 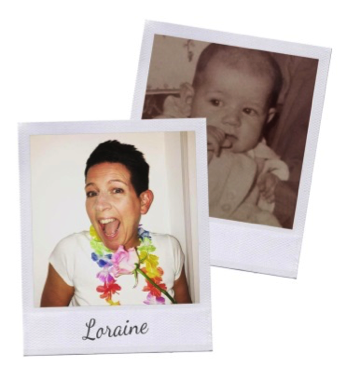 Lorraine O’Brien – Health and Happiness Guru at My Healthy Ego. How will your Team be Trained? Support Groups – There are 2 BOSS FREE Facebook Support Groups, one for the main salon team run by Caroline and one for Salon Managers and Font of House run by Carla. Our Health Guru Lorraine will be in both groups to offer support and advice. These are private member groups and are for STAFF ONLY not the salon owners. We want this to be a BOSS FREE ZONE so the team can freely and openly ask questions in an environment with like fellow peers across the industry. Access to an Online Training Portal with training videos on how to grow your column, Super Salon Retail Sales, Front of House Training and more being added as we go. 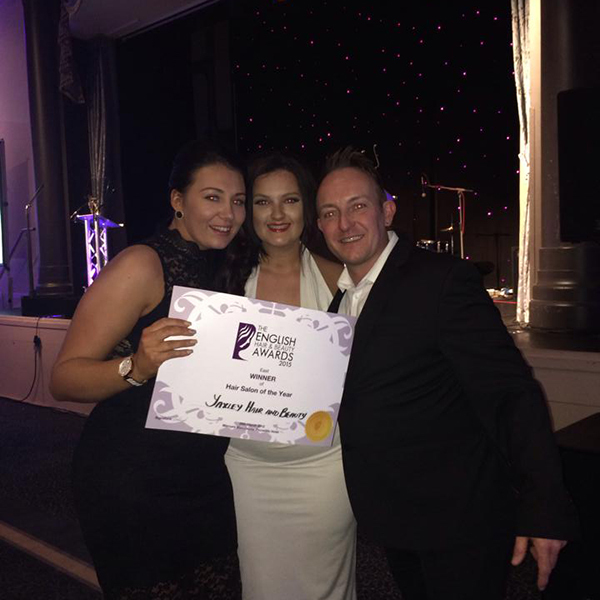 Louise Cameron Winner of INAA Scottish Junior Stylist of the Year, Louise has trained with us from Scratch as a shy young assistant, to a confident cutting specialist. 1152% growth in Services. What’s the Investment of 3 Personal Coaches for You or Your Team? Training and developing your team (or yourself if you are an independent stylist) is the single most important investment you will ever make. Don’t see it as a ‘cost’ but as an investment in you and your people, as you will reap the rewards in return. We are different to traditional training; as we bring it to YOU online which means -No Travel , No Accommodation Costs and No Excuses about Attendance . A massive thank you to Caroline Sanderson and Carla Zebroswski from Salon Jedi and Ego Hair Design for their wonderful work with all the team at Joseph Koniak salon, london. Highly recommended for anyone that wants to improve their business. I started my journey with Caroline and Salon Jedi when it launched in 2010. She has been there every step of the way helping me to gain confidence in marketing, sales, networking, and getting our Salon Business in a position to win prestigious awards like Junior Stylist of the Year and Afro Hair Salon of the Year. If you are ready to develop and motivate your team buy NOW to get instant access to the support groups and training area. PS. Don’t forget your Early Bird Discount is limited to 50 members and comes with your 3 FREE Bonses including our 100% 30 day money back Satisfaction Guarantee. We know we can help motivate and develop your team through all the training we offer for only the price of a hair cut or colour a month. If we can’t help our team double triple or even quadruple your investment then drop out any time as quite frankly we wouldn’t deserve your money. We know from our own results the effects our training has. DISCLAIMER– Sometimes there are team members that even Mother Teresa couldn’t inspire and motivate. These ‘Staff Room Terrorists’ as the great Anthony Whitaker calls them are often beyond help. We don’t have a magic wand for them but we can install greater confidence and develop and train those who want to grow . 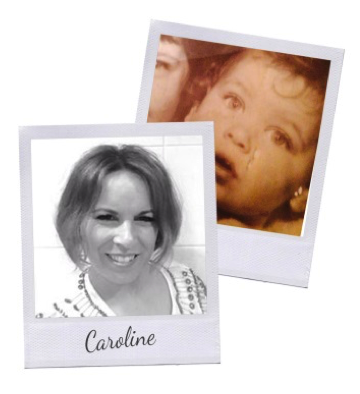 Caroline you are one special inspirational lady, thank you for everything you have shown me, my life and attitude is so different now, can't think where I'd be without you guys. Being part of this amazing journey has helped me cope with things in a positive way. I'm going to make sure I carry on my life this way. Thank you to everyone in the group, it's been great seeing everyone support each other if all local salons and business did this everyone would be so much happier. It's been so exciting and challenging but I have loved every minute of it and have pushed myself beyond belief and am still doing so. You are definitely an inspiration and fantastic mentor. The exercises Caroline has set along the way have not always been easy ones. Jedi Journey training is about looking honestly into yourself and asking some frank questions about performance and how to improve not just your business but yourself.I have learned many new things which not only have vastly increased my own motivation within my business, but has had a knock on effect on my staff. This has been a personal journey for me which is priceless.